The first thing that draws you to a photographer is most likely their style. Every occasion, person, and story captured is unique, so when I sit down to produce your final product, my goal is to create the feel that fits best. With that said, I love real color, distinguishing contrast, and true tones. I focus on natural light, candid moments, and telling stories. My entire business philosophy is based on adventure. I started pursuing photography more intently after moving to Colorado - seeing the mountains from my office window created never ending daydreams. I maximized my free time - whether it was finding local trails to run, car camping with friends, climbing 14ers, trekking through remote Nepal, or backpacking the Tour du Mont Blanc - I just wanted to be outside. Packing my heavy camera gear for all these adventures was a given. My goal now is to add people to these adventures. People who are equally as passionate about the outdoors and who want to tell a story that's unique to them. So if you find yourself planning an adventurous and momentous occasion, I'd love to be part of your journey. I promise to tell your story honestly and powerfully and to showcase exactly why you chose to go on that adventure. — I came. I saw. I loved. 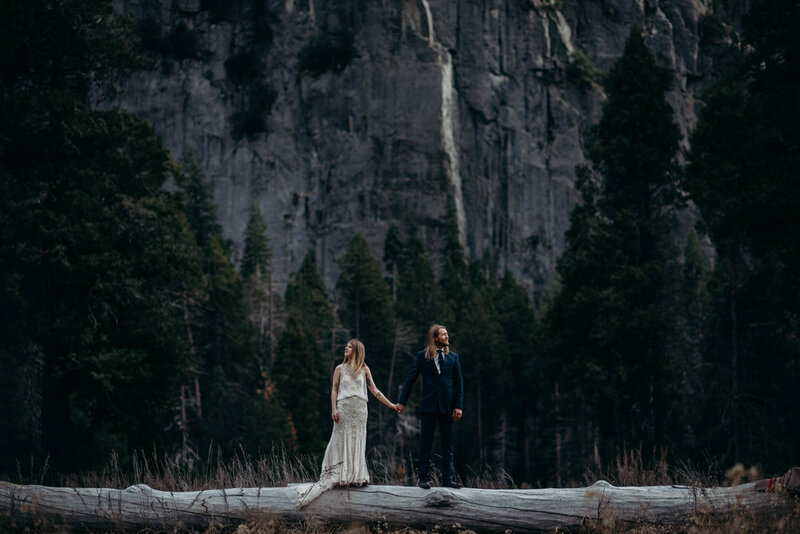 If you are looking to elope or get married outside of Colorado, I offer all inclusive travel packages for the continental United States and everything beyond!